If a picture says a thousand words, I wonder what the snapshots below say about us?! On my travels I love to take shots of beautiful landscapes, stately buildings, fun activities, scrumptious meals, and scenic moments. But sometimes you just have to let yourself get a little kooky. 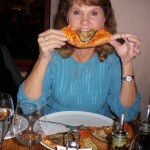 Here are a few “fun with food” moments from my recent trip to Austria. 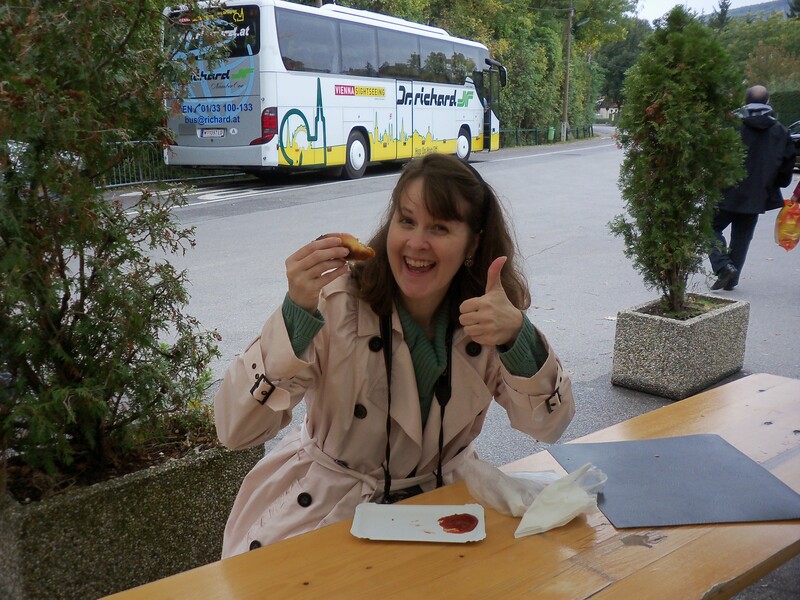 At a roadside stand in Seegrotte, home of the largest subterranean lake in Europe — and the best darn hotdog I HAVE EVER TASTED!!! 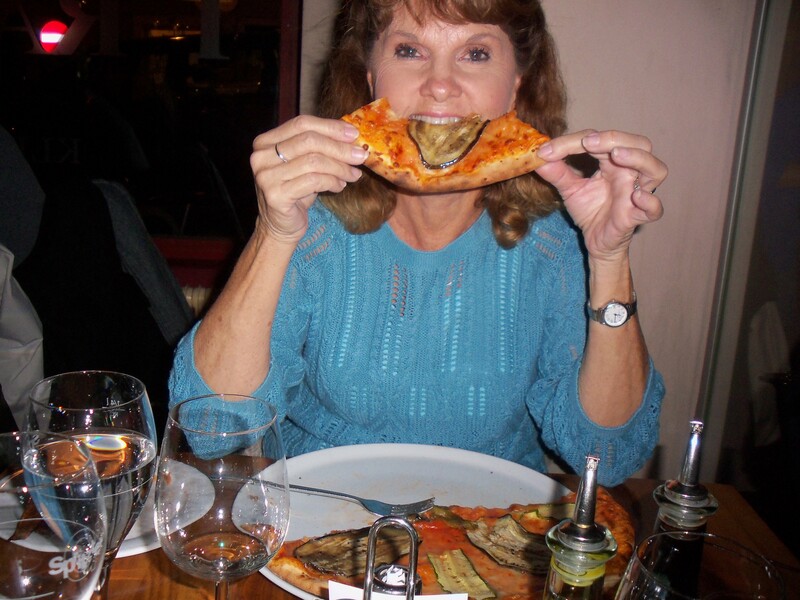 Mom with a slice of pizza at a restaurant in Vienna. Or is she sticking her tongue out at us? 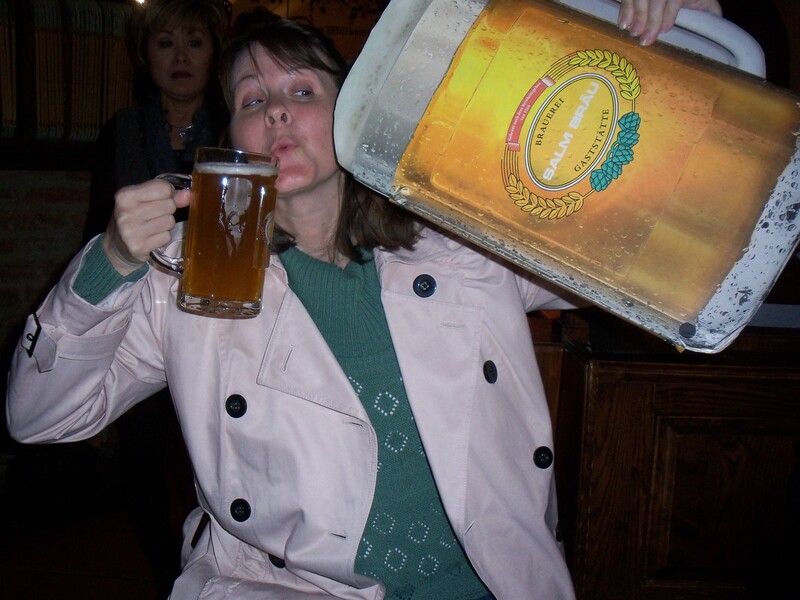 Two-fisted drinker. Don’t worry, the one on the right is just a giant menu at the Salm Brau restaurant in Vienna. Really! 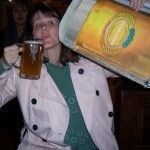 What are some of your travel pictures that have brought lots of laughs? Sometimes it’s great to just take a moment and embrace the silly. We did! 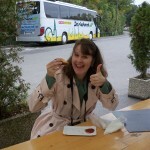 Getting kind of goofy why traveling can be an awful lot of fun.